Just before Christmas I bought the Kindle version of Library Lost by Laurie Graves. I then, as I often do, mislaid the Kindle, and didn’t actually start reading it until the New Year. They say the second one of anything is difficult. You have second season syndrome in sport, difficult second albums and, in this case, the difficult second book. The main problem, as I see it, with Library Lost, is that you have to reintroduce the basics of the previous book as the story leads on from that. This is important to people who are starting with the second book, and for people like me who have poor memories. The trap awaiting the unwary author is the temptation to drop in slabs of boring explanation. Mrs Graves avoids this trap. (Did you see what I did there? I’m pretending not to know her so I seem more professional). If I have any criticism, it would be that the action could have started a few pages sooner. When it did start it was excellent. I’m a little torn on the treatment of death. I know it’s YA fiction, but death (and there are a few deaths as the plot develops), seems to be glossed over,and this does tend to trivialise it. …I’m now waiting for Book 3. Having said that, I’d rather to books stayed short and to the point instead of becoming bloated monsters like the Harry Potter books. But then, as I have said before, Laurie Graves is better than J K Rowling. The fact that she isn’t as rich or famous simply highlights the fact that life is unfair. Excellent book, well written, gripping, plenty of character and action. I enjoyed it. It’s possible I might have enjoyed it more if it had talking badgers, but I suppose you can’t have everything. 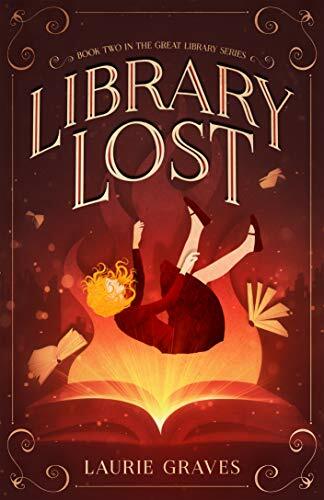 This entry was posted in Book Review, books and tagged absorbing, difficult second book, excellent read, Laurie Graves, Library Lost, YA fiction on January 19, 2019 by quercuscommunity. Thanks for the thoughtful breview. I loved it, too, Simon. I cannot say I missed the talking badgers, but I am hoping for a book 3. Oh, gotcha. I missed the reference entirely.